An investment that returns $50 for every $1 you put in. Invest $10,000 or $20,000, walk away with $500,000 or $1 million. In yesterday’s essay, I explained how investments that return $50 for every $1 invested come around once every decade or so. In other words, they exist, but they are rare. That’s why you must seize the opportunities when they appear. As I described yesterday, we have such an opportunity in the legal marijuana business. The potential future demand in the U.S. and Canada is simply staggering. As I mentioned yesterday, sales of legal marijuana in North America were about $10 billion in 2017. Outside of North America, legal marijuana sales were a paltry $52 million in 2017, less than 1% of North American sales. In other words, there is huge room for growth here. The move by Canada and some U.S. states will show the rest of the world how much money businesses and governments can generate from legal marijuana. This will be a huge driver in getting other countries to join the party. There is too much money in the marijuana industry for nations to sit back and watch their peers and enemies profit. In Europe, the upside for medical marijuana is enormous. The leader, Germany, passed medical marijuana legislation in 2016. The European Cannabis Report said the European market could be worth $65.4 billion annually if every country were to legalize marijuana. The budget for the European government-subsidized health care systems is $1.3 trillion. Imagine if marijuana was able to get legal status for just medicinal purposes on the continent. It would be a giant market. Considering this outlook, the roughly $10 billion global market for marijuana could grow to $57 billion by 2027, according to Arcview Market Research. There are even more aggressive forecasts out there. Ameri Research sees global marijuana sales hitting $63.5 billion by 2024. The basis of the prediction is that more countries will legalize marijuana at the recreational level. ***Australia will grow into the fifth largest legal cannabis market by 2027, from an estimated $52 million in 2018 to $1.2 billion in 2027. ***Italy is expected to be the number two European market (behind Germany) by 2027, with sales of $1.2 billion. ***Spain is expected to legalize recreational marijuana in the next two years and generate sales of $206 million by 2021. ***Last but not least, there is South America. Prior to Canada, Uruguay was the only country in the world that had fully legal recreational marijuana. The market for the region could increase from $125 million in 2018 to $775 million by 2027. By now, you can see how the legal marijuana industry will have a very powerful tailwind blowing at its back for many years. While the U.S. and Canadian markets get most of the press, it’s a global phenomenon set to boom. When an industry enjoys a tailwind at its back like legal marijuana is about to enjoy, even mediocre businesses can do very well. The old saying goes, “In a strong wind, even turkeys can fly.” This will be the kind of tailwind that allows people who aren’t particularly smart or hard working to get rich. But the best businesses and the best people will get very rich. I believe 10x, 20x, even 50x returns are on the table here for investors. In tomorrow’s essay, I’ll detail the various ways to invest in the coming legal marijuana boom. P.S. My team and I recently produced a detailed presentation on what I believe is the absolute best way to invest in legal marijuana right now. It’s by investing in a small, sub $1 per share company that is using a totally unique business model. This stock has none of the risks associated with ordinary pot stocks … yet it could make you 10-fold returns over the coming years. Click here to view my presentation. 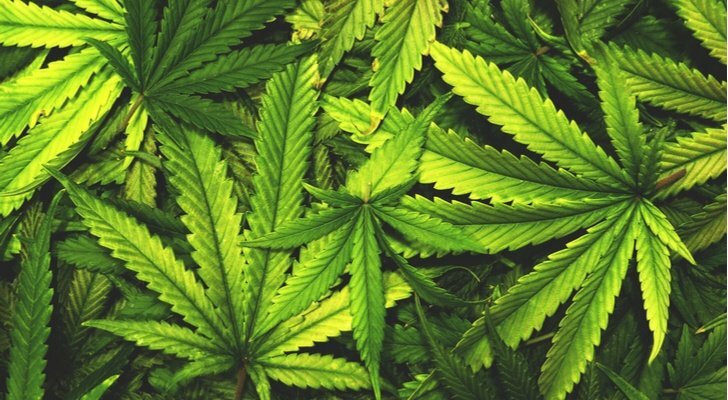 Article printed from InvestorPlace Media, https://investorplace.com/2018/06/4-developments-that-will-fuel-the-mega-marijuana-market/.